Cacao tree with fruits. Image credit: TreeHugger.com. Mention the name Lipa and most probably the first thing the enters most people’s minds is coffee, something that can be attributed to the great nineteenth century boom in the coffee industry in what was then still the town of Lipa. The historical association between Lipa and coffee is well documented. But what is lesser known is that Lipa also had a significant if vague role to play as well in the propagation of cacao in the country, vague because the documentation is sparse. Theobroma cacao is not native to the Philippines and instead grew exclusively in the tropical forests of Central and South America1. Its arrival in the Philippines was generally attributed to a Jesuit priest named Juan Davila2. He was originally from Sevilla in Spain and arrived in the Philippines in 1643. He spent most of his time in the country in the Visayas, where he ministered to the Indios, as natives were called by the Spaniards, in the area. Davila needed an excuse to keep the natives in their villages so that he could instruct them in the ways of Christianity. Although originally from Spain, he and other missionaries traveled to the Philippines via Nueva España, as Mexico used to be known. It must have been while he was in Nueva España that Davila became acquainted with the cacao plant; and knew from the similarity in climates that it could also grow in the Philippines. Thus, to give the Indios to whom he ministered an occupation, he pleaded with Diego de Salcedo, Governor General of the Philippines at the time, to have some cacao shoots brought over from Nueva España by one of the galleons crossing the expanse of the Pacific. The cacao was brought in by a galleon pilot. 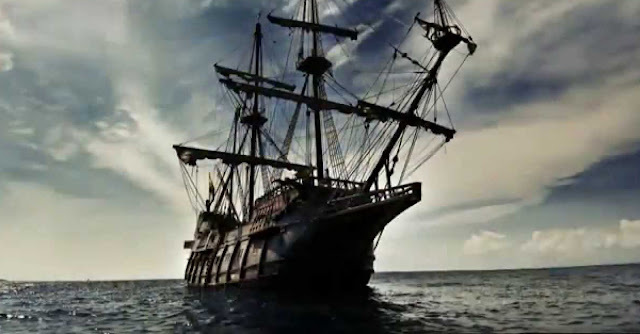 Image credit: thumbnail from the YouTube video "El Galeón de Manila. La aventura de los tesoros de Oriente (Manila Galleon) HRM Ediciones" by Arturo Sanchez. De Salcedo duly agreed, and in 16703, a galleon pilot by the name of Pedro Brabo de Lagunas brought the plants so ordered by the Governor General to Manila. These were then taken to Carigara in Leyte where Davila was stationed at the time. “A plantation was begun with good results; and from that place it has spread to other villages and to the islands of the Pintados…” These Pintados were tattooed Cebuano-speaking Visayan people who were found in Cebu, Bohol and parts of Negros, Samar and Leyte. The direct implication of this, apart from Davila getting his Indios to stay put so that they could be instructed in the Christian faith, was that chocolate could be produced in the country. Previously, whatever chocolate there was in the Philippines had to be brought over from Nueva España. But there was another, more obscure version of the story. At the time the natives of Carigara were planting cacao in their lands, Tagals (or the Tagalogs) were said to also have been propagating theirs. In 1674, just four years after the supposed arrival of cacao seedlings in the Philippines, Father Ignacio de Mercado, the parish priest of Lipa, was supposed to have said that he had distributed seeds of the cacao “to many persons,” presumably in his parish. Just to put this in context, in 1670 Lipa was a pueblo or an Augustinian mission or Christian community by the shores of Taal Lake in what in the present day is known as Tagbakin. Its people would relocate thrice in the next century because of volcanic activity to get to where the city center is located in the present day. The scarcity of documentation means that the del Aguila story is difficult to corroborate. However, in the present day, while Batangas is by no means among the leading cacao producers in the country, its native “tabliya” (or tablet) chocolate has always been something of a traditional favorite beverage among Batangueños. Perhaps the locals’ fondness for this drink dates all the way back to the seventeenth century when cacao was first propagated in the country. 2 Most of the information about Davila and cacao’s arrival in the Philippines contained in this article are from the footnotes of “The Philippine Islands: Volume 47,” compiled by Emma Helen Blair and James Alexander Robertson. 3 Another historical account of the Philippines written by Delgado placed the date of the cacao’s arrival at 1665.